Since 2007, the legal professionals at InSight Law have been serving clients throughout Virginia, the District of Columbia, and Maryland in all matters of trust and estate planning, business planning, and other related services. When a loved one dies, family members often react in one of two different ways – (1) the family comes together during a difficult time to honor the memory of their loved one or (2) members of the family begin disputing who gets what and the family becomes embittered and divided. 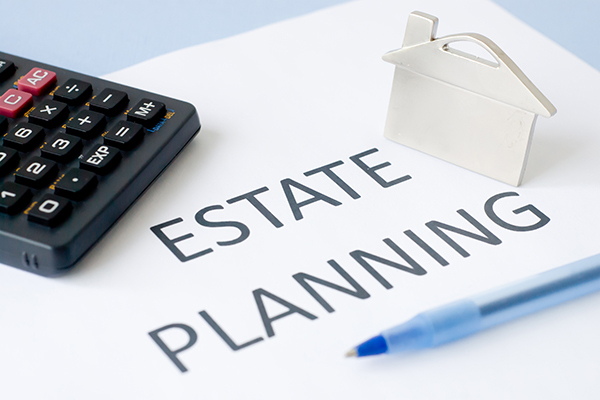 Estate disputes among family members often occur when the decedent’s estate plan is vague or has conflicting provisions. For example, what happens if the Last Will and Testament or Trust says one thing about an asset, but a joint account is structured in a way that makes it impossible to comply with the directives in the Will or Trust? A common example is if a father has a Last Will and Testament that states everything should be divided equally among or between his children, but also owns a joint bank account with just one child named as the co-owner. Do the other children have a right to a portion of the assets in the account? In many cases, joint accounts are treated as convenience accounts because they save the primary account holder time by allowing a co-owner to assist in managing their finances. The joint owner is able to write checks, make monthly bill payments, withdraw funds and deposit funds. Generally, if the primary account holder of a jointly-owned account passes away, the account automatically transfers to the joint owner since it is a non-probate asset. This means it passes directly to the surviving owner rather than through the will. The only way that a joint account would not pass to the surviving co-owner is when there is clear and convincing evidence of a different intention at the time the joint account was established. Most of the time, clear and convincing evidence is very hard to retrieve. This creates the potential for a family dispute where the other children argue that the account should be part of the estate and divided equally among the beneficiaries. The dispute could escalate if the joint account was established just prior to the passing of the decedent. The dispute could wind up being litigated in court which requires an extensive amount of time and money. It can also be extremely stressful, contentious and can further harm family relationships. Mediation is a possible way to address this type of dispute, but a better course of action is to avoid a dispute altogether by utilizing proper estate planning techniques. For example, instead of setting up a joint account, create a financial power of attorney and designate a specific person to assist with finances. When a financial power of attorney is used, the person bestowed with this authority can assist with writing checks and conducting financial transfers, but the assets remain available for distribution under a Last Will and Testament and/or Trust. To learn more about creating a financial power of attorney, schedule a meeting with an experienced estate planning attorney in your area. As new businesses are starting out, it can be difficult to establish a steady cash flow to cover expenses. Business owners often want to “lend” their business money here and there to make sure the company stays operational. In many cases, where the business only has one member or owner, these loans go undocumented and no interest is paid when the principal is paid back. Once you decide to use your personal funds to invest in your business, you’ll need to work with your accountant to determine if the money should be treated as equity or as a loan to the business. Either way, the transfer of funds between owner and business should be well documented in the company’s accounting records. An equity investment, commonly referred to as a capital contribution, is when the owner transfers money into the business only for an increase in the owner’s equity. This is not a taxable event and the money is not expected to be repaid. However, the contribution date and amount still needs to be documented in writing to adjust the owner’s equity in the company. On the other hand, a loan is a transfer of money to the company that is expected to be repaid with interest over a period of time. The loan should be documented with a written promissory note identifying the amount of principal, interest rate, and time period. Interest paid by the business will be documented as a deductible business expense on the business tax return. Similarly, the owner will document the interest income on his or her tax return. It is important to remember that transferring other personal assets to the business besides cash should also be documented in the same way. You need to decide whether property and assets used in the business are contributions or leases to the business and record the transaction accordingly. Before simply transferring a few thousand dollars (or more!) over to your business checking account, work with your accountant and attorney to decide on the best structure for the transfer and the appropriate paperwork needed. Taking this simple step can save time and money later when these transactions may be called into question. The D.C. Council is debating legislation that would allow doctors to prescribe lethal doses of prescription medication to terminally ill patients. The “Death with Dignity Act,” introduced by Council member Mary Cheh made it out of a five-member committee by a 3-2 vote. Council member Cheh introduced the bill to give “dying patients greater choice and control over their final moments,” according to the Washington Times. “In the face of imminent death, meeting a patient’s individual needs and wishes compassionately should be our top priority. If a dying person wishes to peacefully end his or her life rather than endure prolonged pain and suffering, we should not stand in their way,” said Council member Cheh. No matter where you stand on the issue of assisting a patient with ending their life, it is important to know that there are many ways to prepare if you become terminally ill. For example, you (or preferably your estate planning attorney) can put together an Advance Directive. This directive allows you to name a healthcare agent to act on your behalf when you are unable to communicate with your doctor, and can contain instructions for your preferences on medical treatment. For example, if a medical professional determines you are going to be in a persistent vegetative state, you can include directives to your health care agent and what type of treatment, if any, you prefer. If you choose to refuse treatment in certain circumstances, this directive generally controls and should be respected by your family and medical professionals. The directive keeps the proverbial ball in your court. Along with your Advance Directive, it is essential you discuss your personal beliefs with the person you decide will take on the responsibility as your health care agent so they can carry out your wishes and allow you to, hopefully, pass on gracefully. When you become a client of InSight Law, you will receive a Maintenance Plan affording access to Docubank. This is a great service giving you immediate access to your healthcare directives and emergency medical information anywhere at any time, 24/7. This is helpful because not everyone receives an official diagnosis of a terminal illness and is given time to contemplate how they want to pass on. In many instances, for example getting into a serious car accident where you are left permanently incapacitated, means you need to have your Advance Directive in order and accessible by our health care agent. As an InSight Law client, you will receive a Docubank card to keep in your wallet or purse. This card gives your medical provider the essential information they need to contact Docubank and obtain a copy of your Medical Directives and instructions you completed. Additionally, it is important to revisit your Directive every couple years to ensure your preferences have not changed and it is current with the laws (for example, the Death with Dignity Act may have passed in your state). Obviously, we all want to remain healthy and live long, productive lives. Nevertheless, you need to prepare for the possibility that life may throw a curve ball. Do not force your family and loved ones to guess what you would have wanted. Have a plan in place.